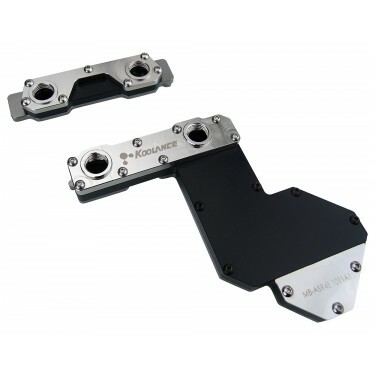 The MB-ASR4E water block is designed exclusively for the ASUS Rampage IV Extreme motherboard (not included). 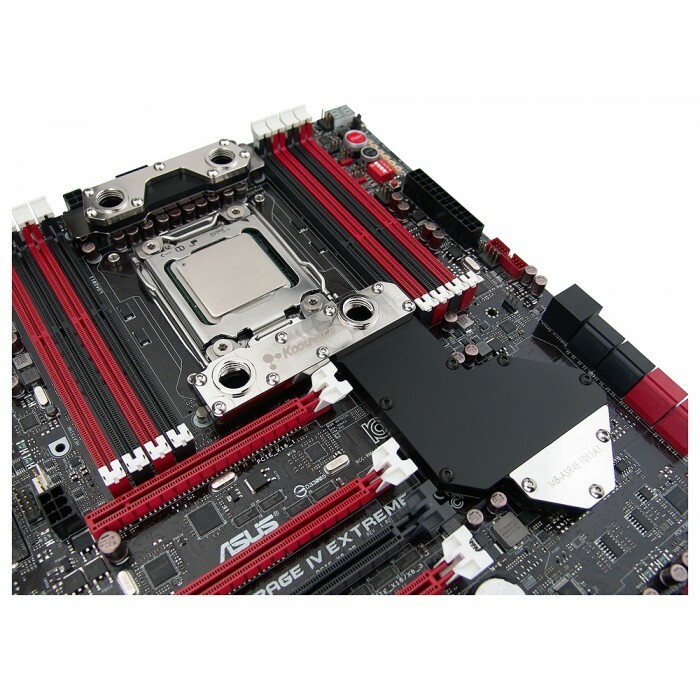 It includes two custom water blocks for the primary chipset and VRM. 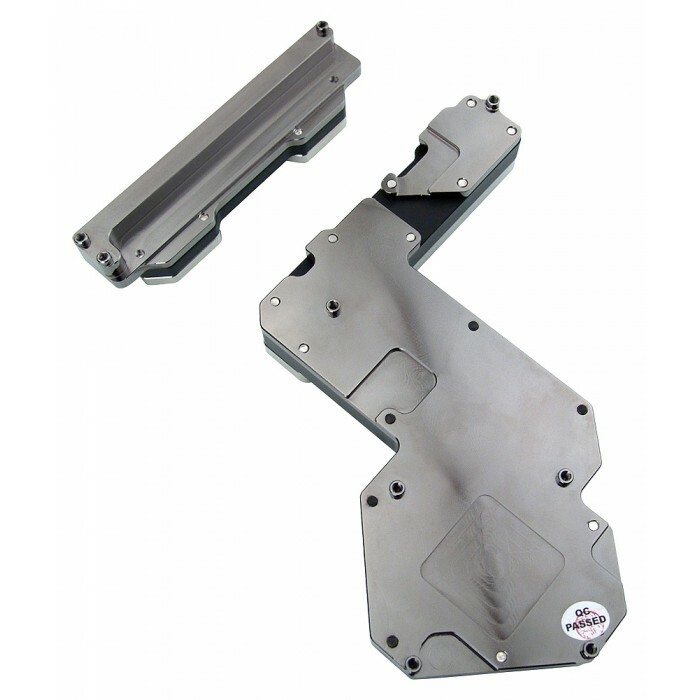 Materials are copper with anti-corrosive nickel plating, and an acetal body. G 1/4 BSPP fitting threading.